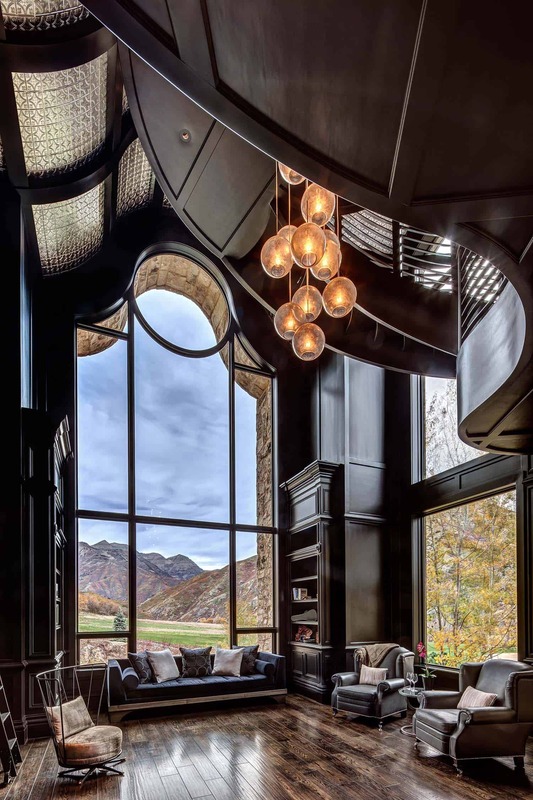 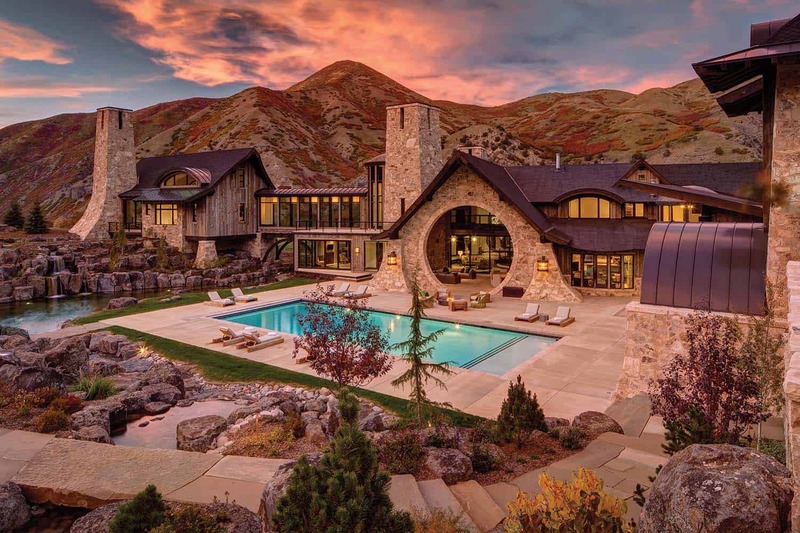 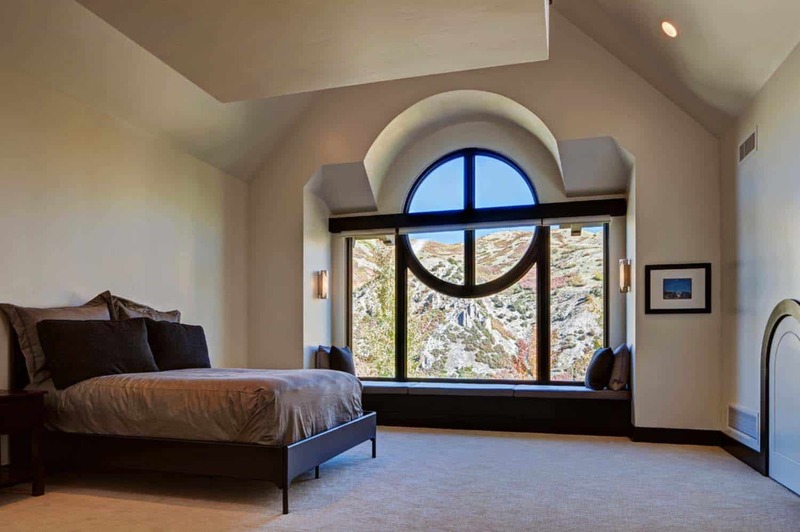 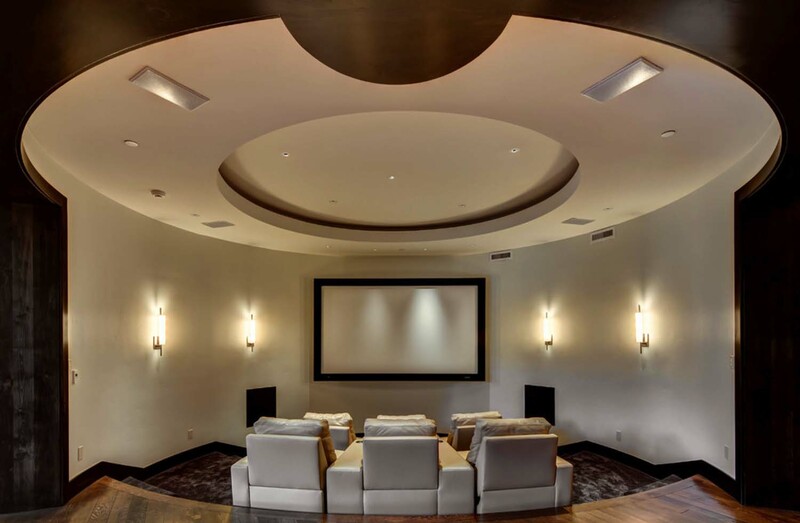 This spectacular mountain dream home was designed by architects Upwall Design along with builder Magleby Construction, located in Provo, Utah. 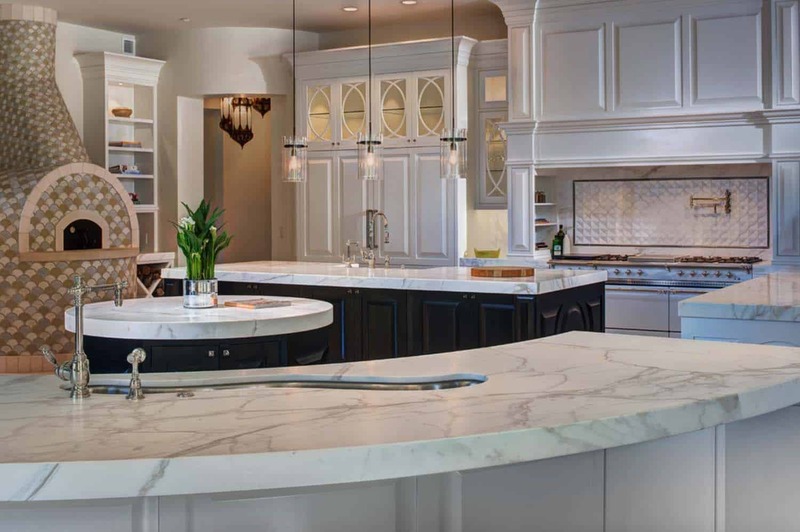 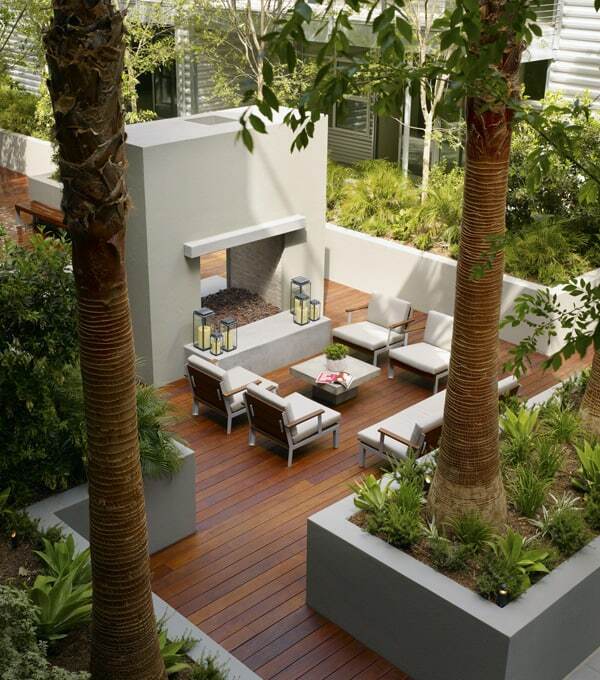 This residence has received several accolades in 2015 from the Best in American Living Awards. 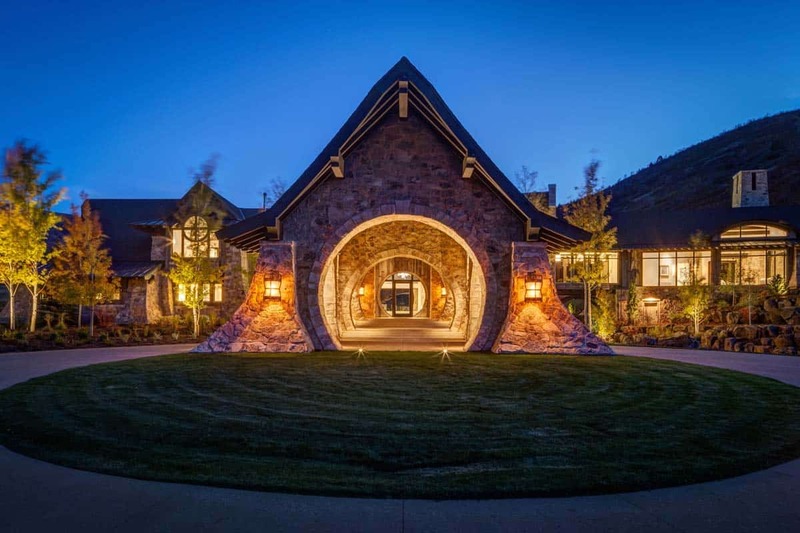 This includes the Platinum Award for homes over 8,000 sq.ft., the Custom Home of the Year for the Mountain Region and the WOW award. 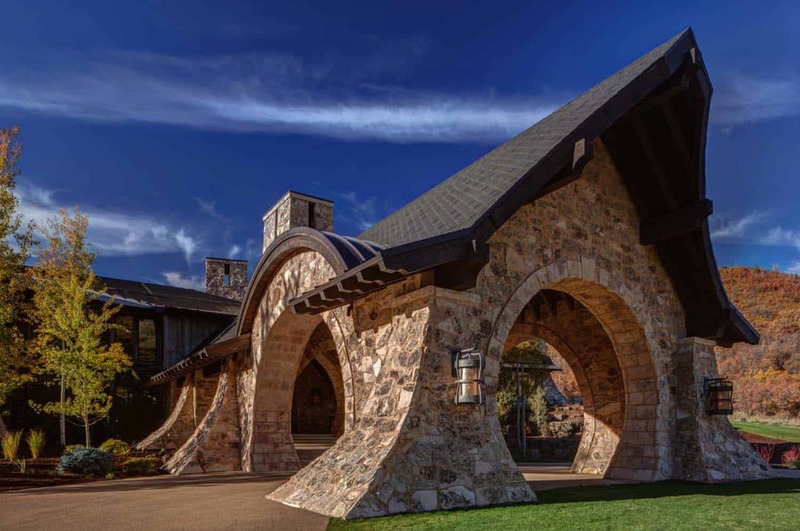 Each of these awards reflects Building Excellence. 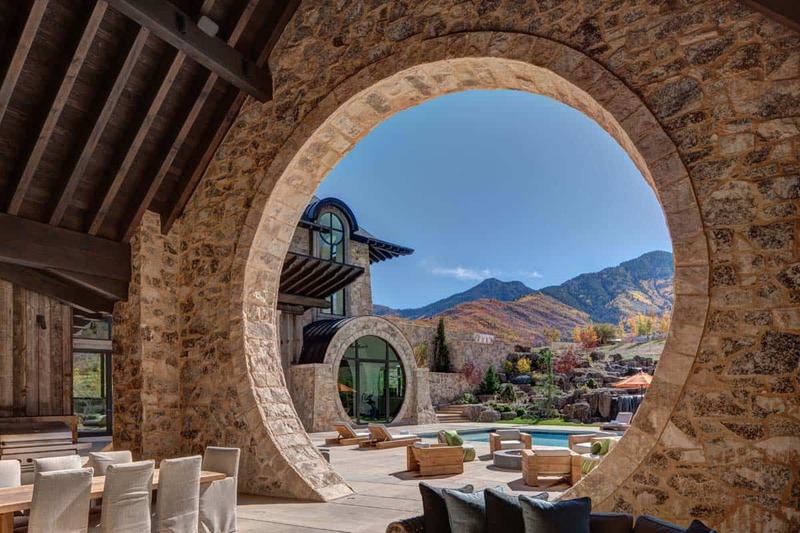 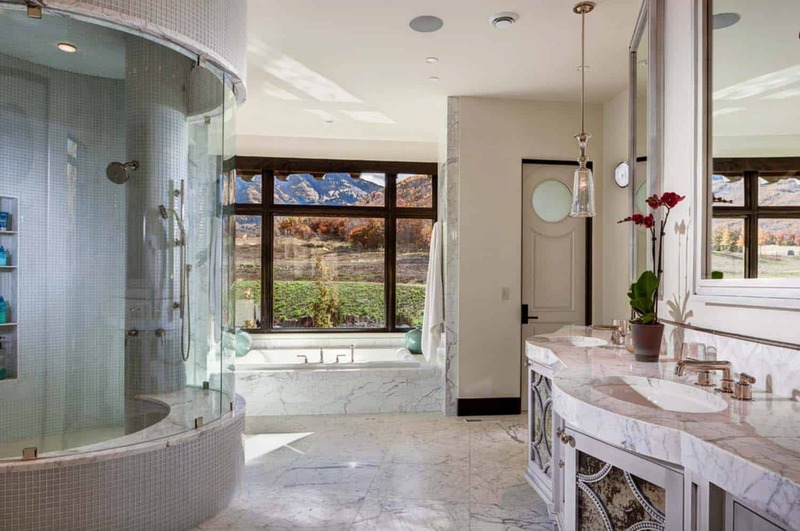 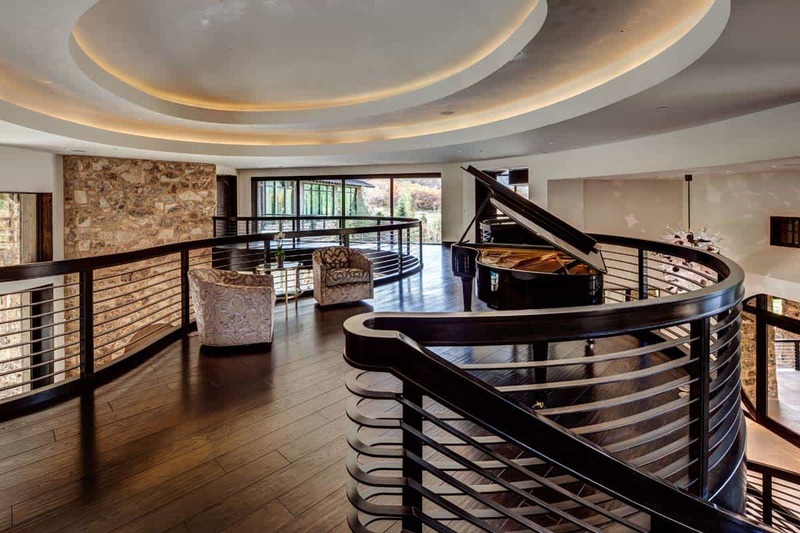 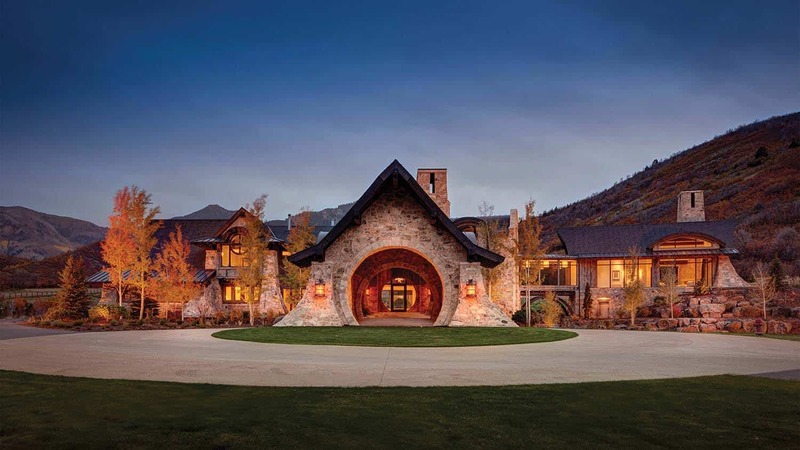 This ultra-luxe mountain pad is nestled on 29.5 acres of property in the stunning Wasatch Mountain Range. 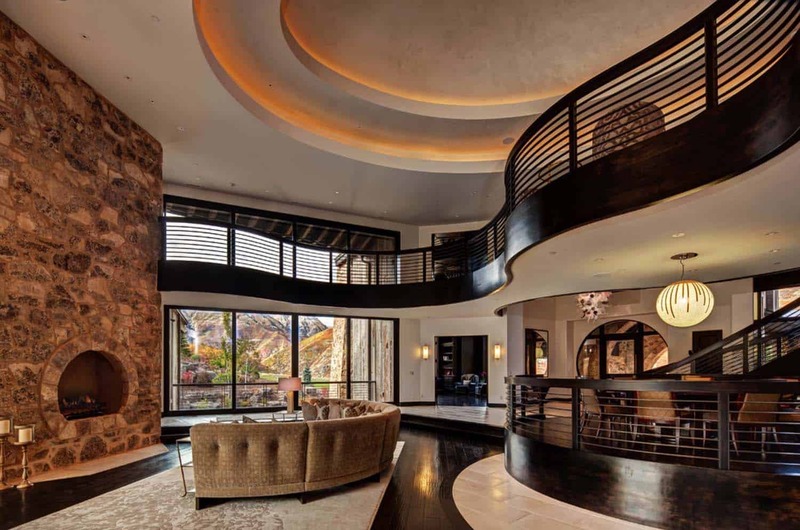 Encompassing 23,568 square feet of living space, there are a total of six bedrooms and ten bathrooms. 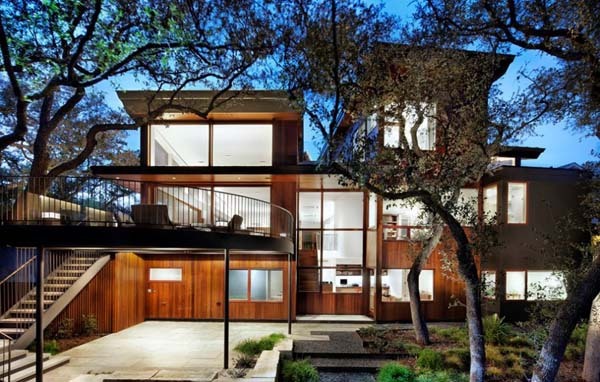 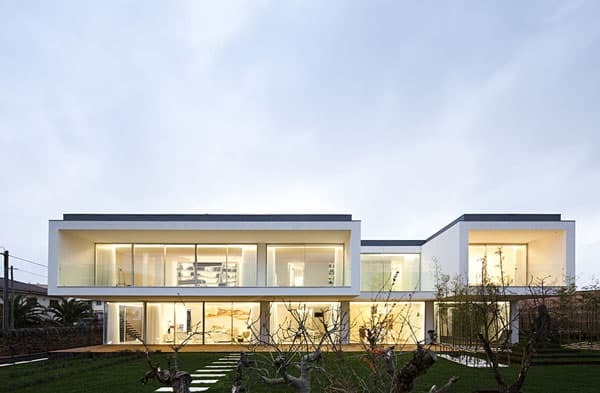 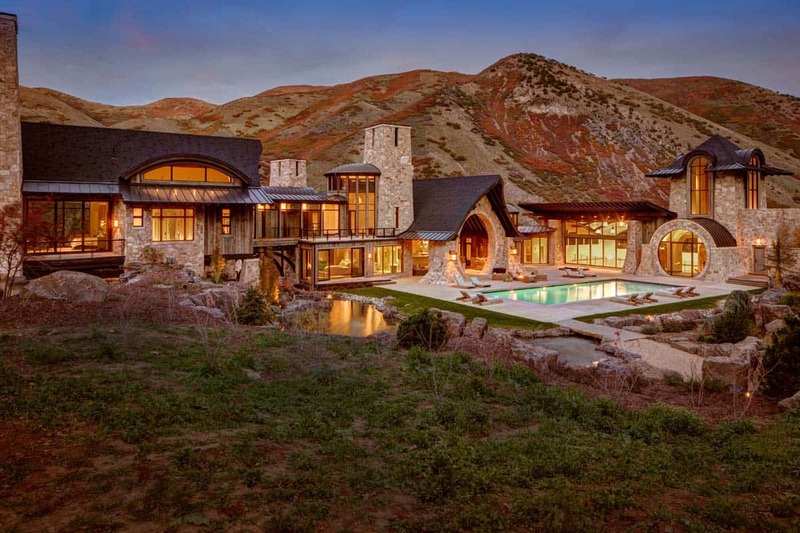 The design of this home is a true reflection of harmoniously co-exhisiting with the surrounding beauty of the landscape. 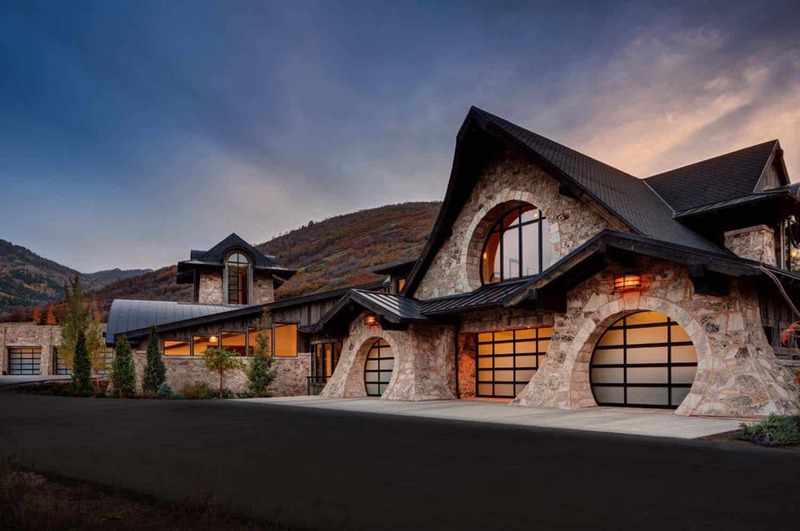 An ingeniously planned layout by the architects enables breathtaking mountain views from almost every room in this home. 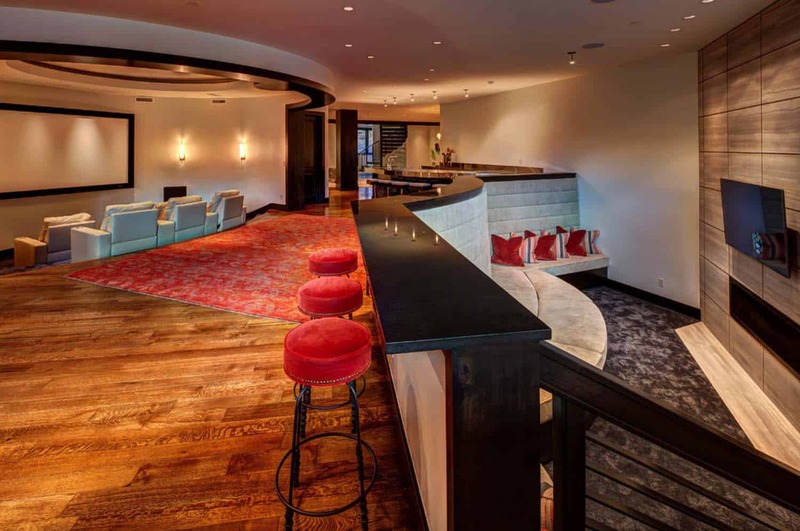 With timeless interiors, Roxbury Studio was responsible for the brilliant curation of color, form and texture throughout. 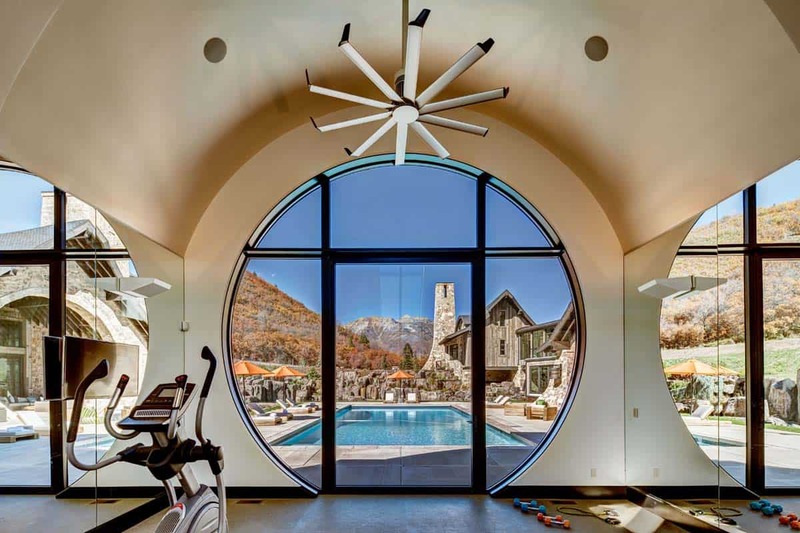 Highlights includes: chef’s kitchen, great room, wet bar, den/office, theater room, exercise room, sauna, steam room, eight-person bunk room, hidden rooms, four-car main garage, four-car sports garage, half basketball court, HD golf simulator, racquetball and wollyball court, 60-foot tall rock climbing tower with four self belaying systems and a finished basement. 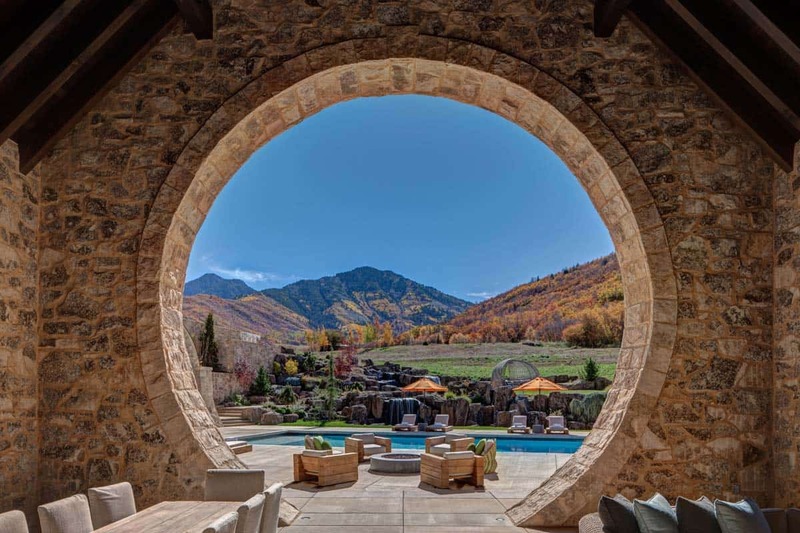 Outside you will find beautifully landscaped grounds, a 60-foot swimming pool, large waterfalls, natural creeks and multiple manmade ponds. 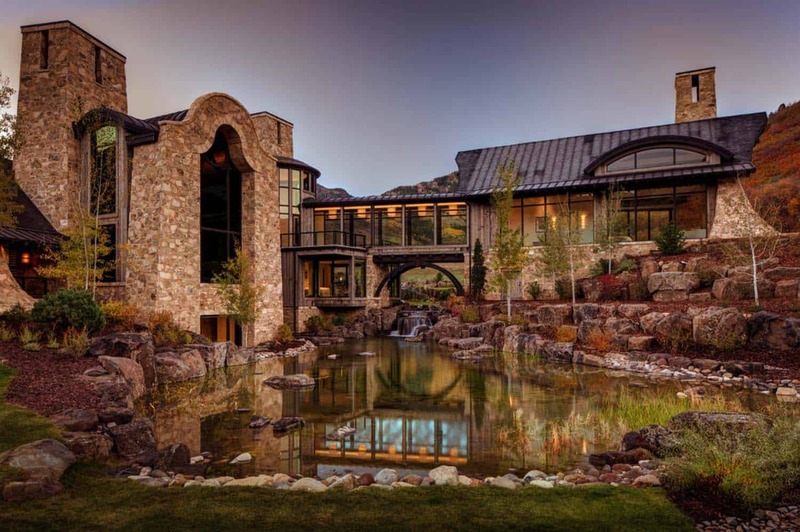 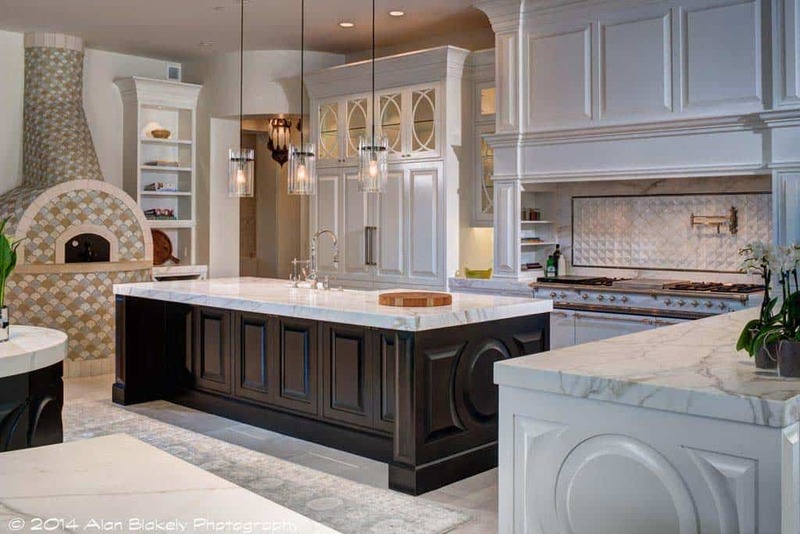 This property has also been named as the “Finest Property in all of Utah”! 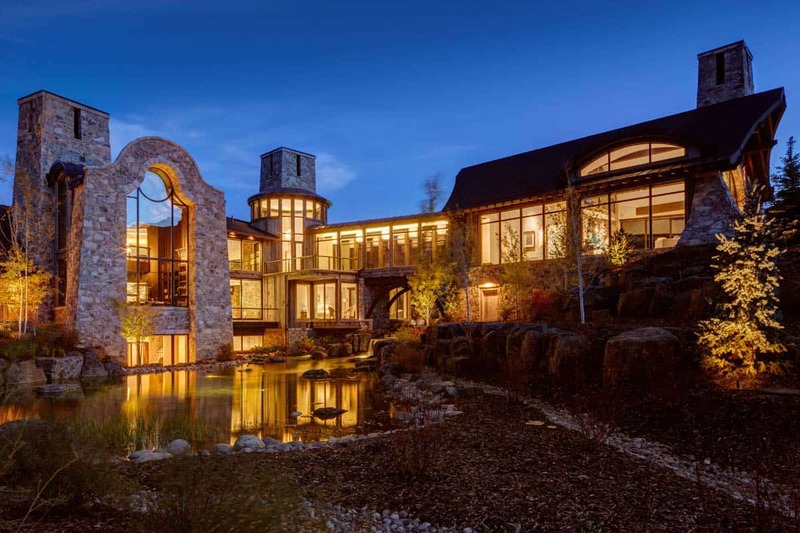 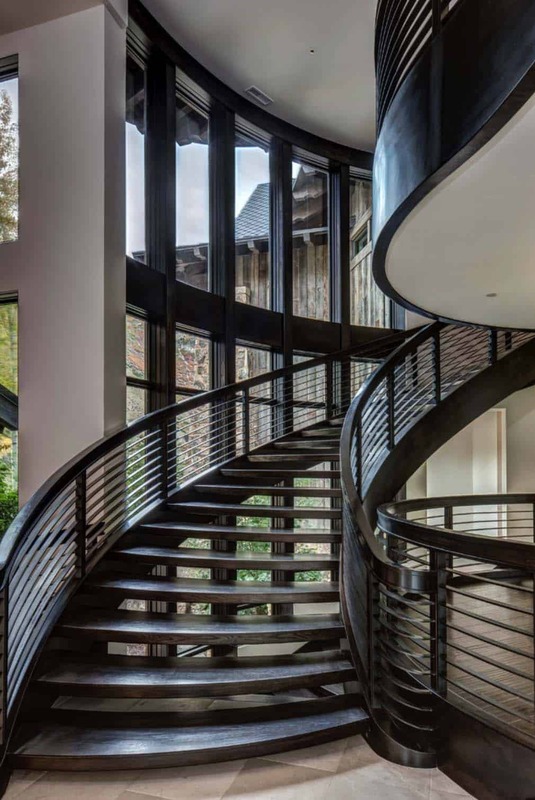 What We Love: This awe-inspiring mountain dream home is just as incredible from the outside as it is from the inside. 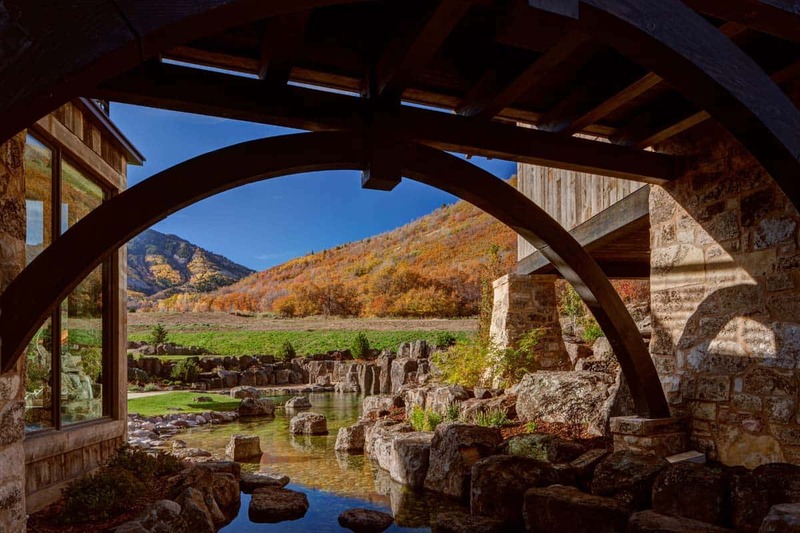 With remarkable surroundings, ponds, waterfalls, this home enjoys a very tranquil environment. 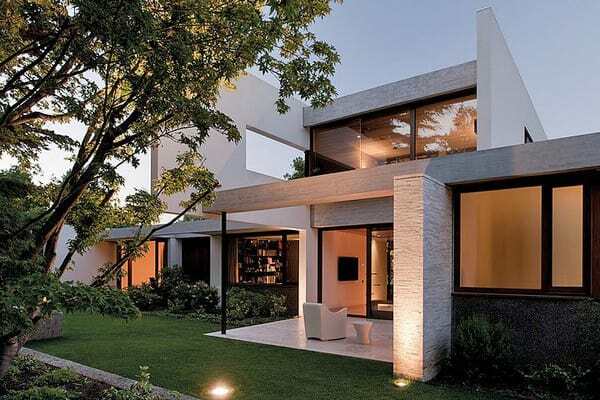 On the inside, expansive windows allows for a fantastic indoor-outdoor connection. 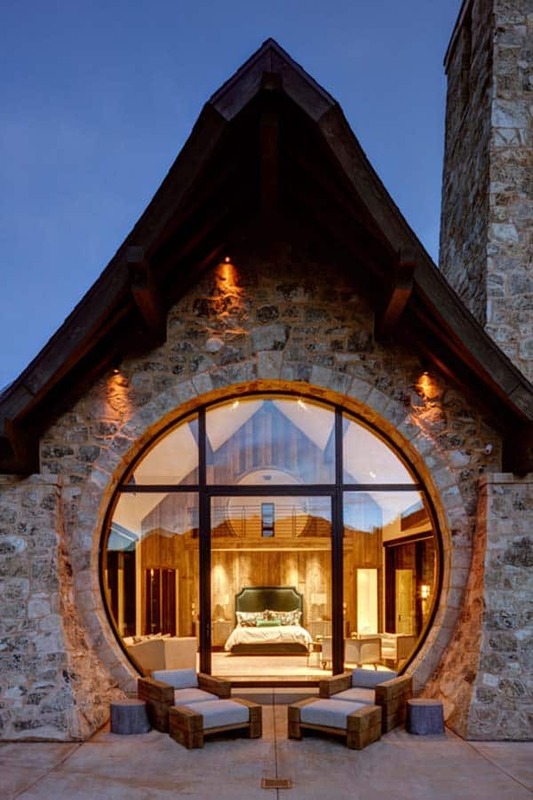 There are plenty of features offered on the inside to keep you entertained and living an amazing lifestyle… Readers, what do you think, do you find this home too over the top? 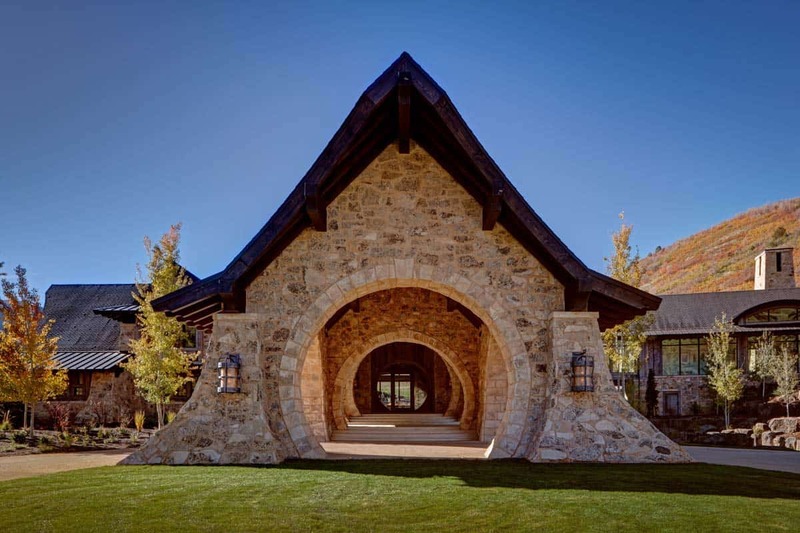 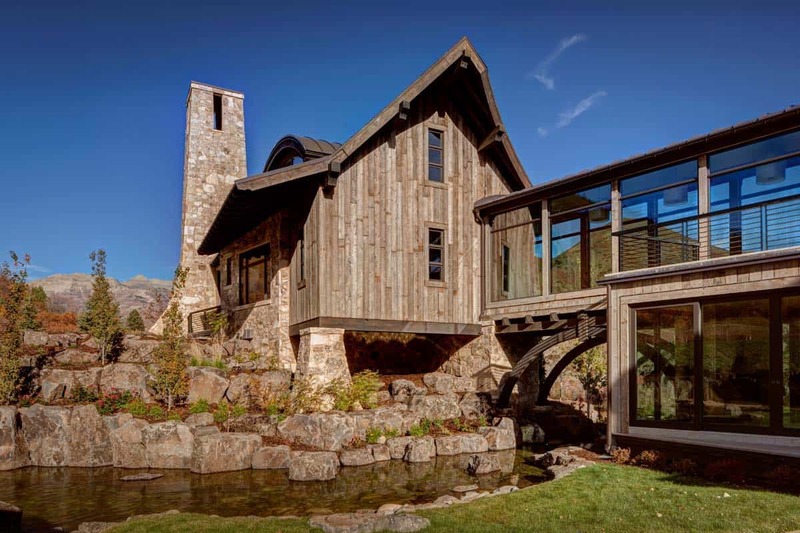 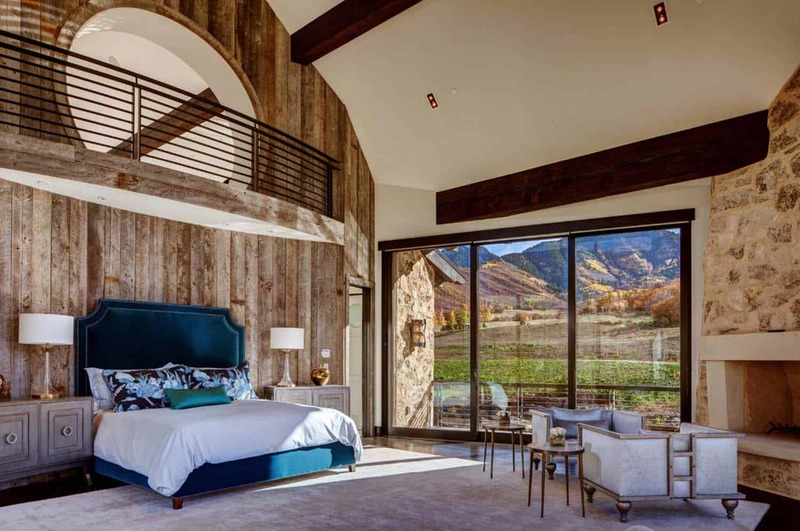 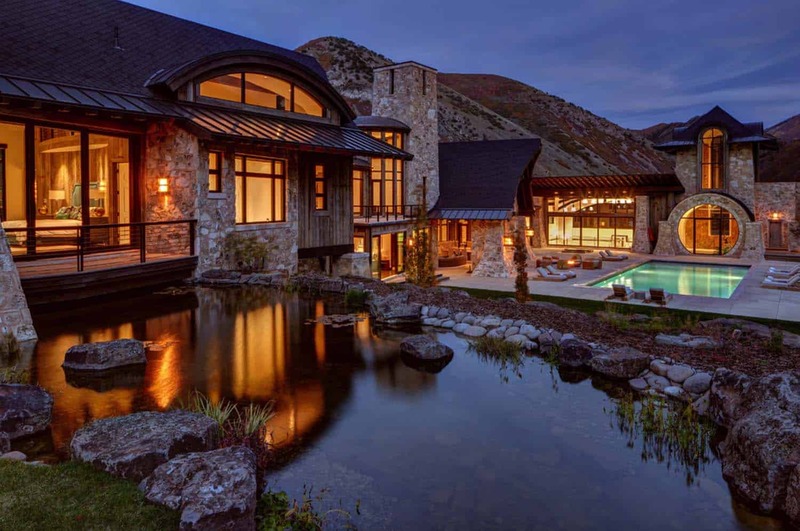 Have a look at another mountain home we featured from the number one custom home builder in America, Magleby Construction: Utah mountain residence features a rustic yet elegant atmosphere. 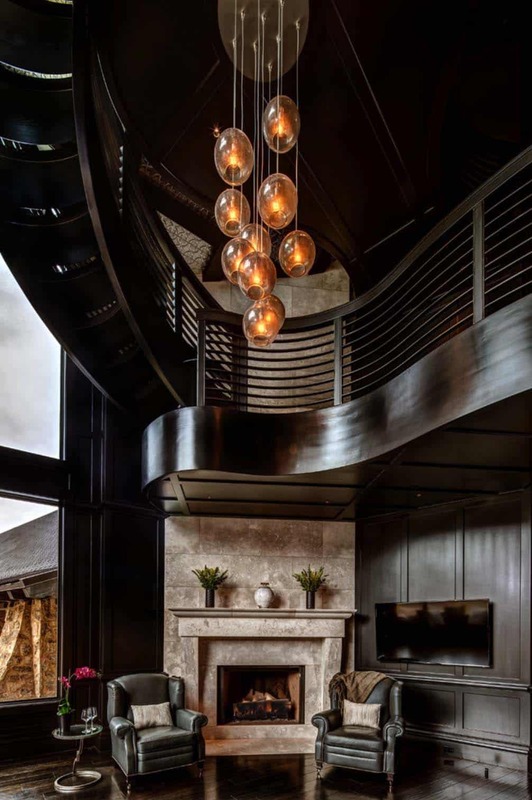 Above: A stunning hand-blown glass chandelier suspended from the ceiling graces this double volume, open plan great room. 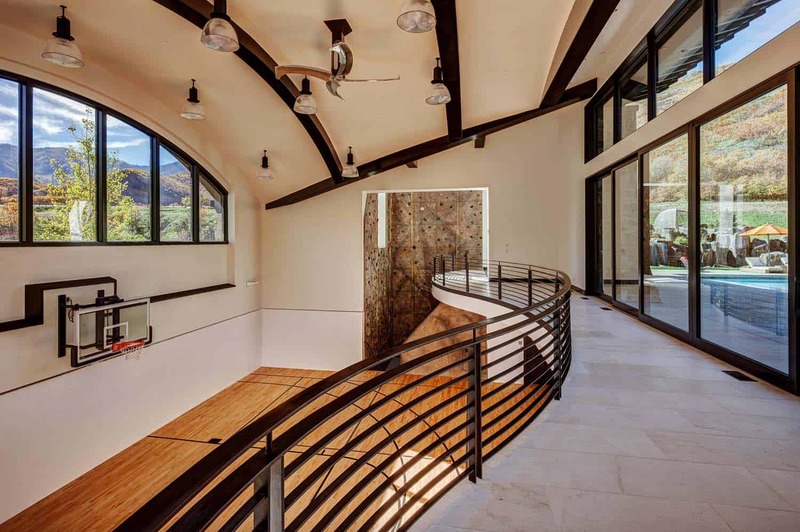 Above: Notice the mosaic tiled pizza oven? 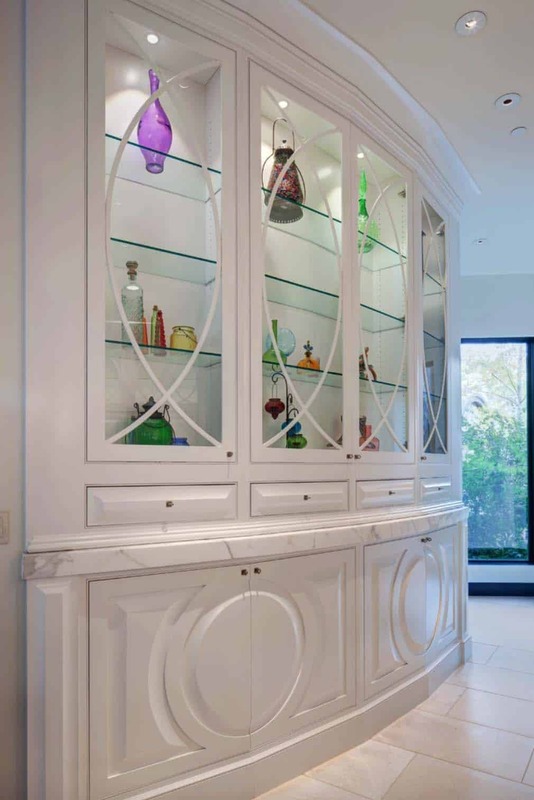 What an awesome feature to have in your kitchen! 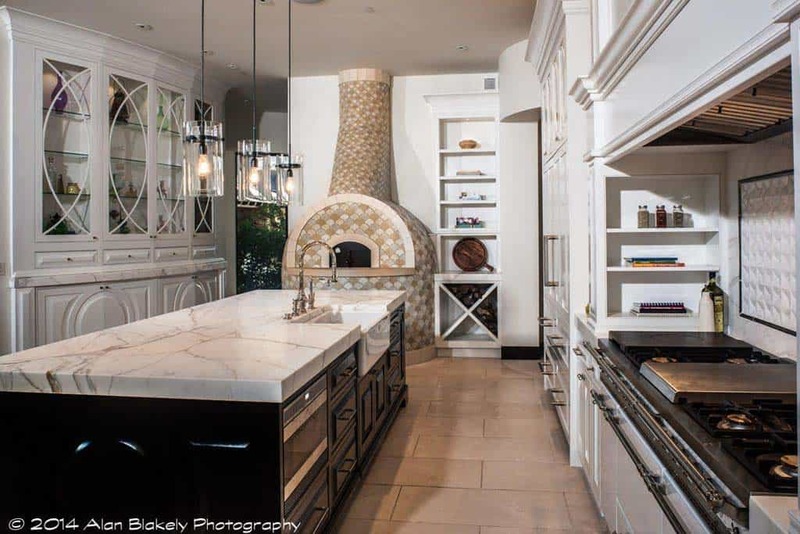 Also in this impressive space, imported French ovens.